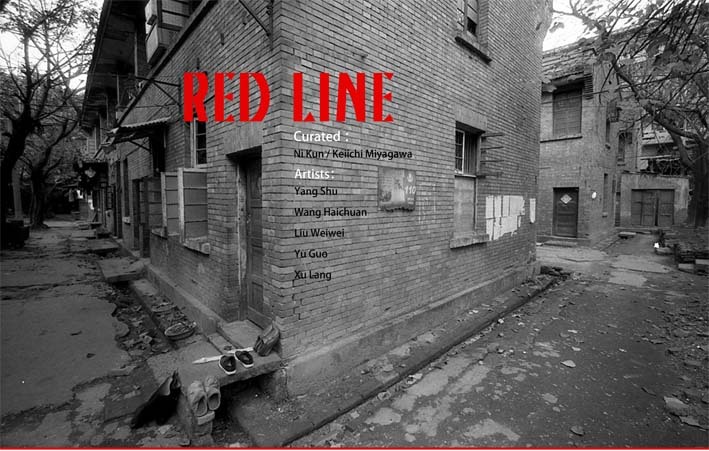 Red line is a term emerging with the rapid urbanization process in China. The full definition of the words is Building line／Site boundary, it signify the borderline between building itself and outside street in urban planning. Due to the policy of the line color, people usually call it red in the industry. The reason we choose this as the topic of the seminar has two: it exactly correspond with the thinking of elements constructing the contemporary Chinese culture we concern about: urbanization and nationalism (and its leading economical movement). Certainly, the more important dialog (action) comes from the way we introspect all the time. Right now the pan-economism tendency from people of the state cause the speechless of art creating: the market compromise and the consumerism revealed in works. It also reflects the reality happening: experimental art disappear gradually and still existence of tooled and commercial art in majority. As the replacement of radical art, Weak Experimental Art practice is taking on the role of revolution in art production, and eclecticism becomes as a realistic choice. Therefore, the responsibility of Red Line and its rely-on program “T1 Project Room” is to rediscover and rethink the relationship between art productions and cultural constructing, meanwhile finding its possibility and productivity of them. Away from market, back to social scene, is the first step of action.